AquaBlok, Ltd. is pleased to announce the successful application of its PONDSEAL™ product to seal a range of common but challenging types of leaks in a wide range of waterways. The product is superior to bentonite alone due to the company's patented coated aggregate particle which allows targeted delivery through the water and provides a self-compacting seal underwater. As we have introduced the product and its attributes to more professionals in the lake and pond management and construction industries, we are finding an increasing number of applications where our particle composition has time- and cost-saving advantages over conventional practices and remedies. AquaBlok, Ltd., a manufacturer of innovative clay-based composite materials, is pleased to announce multiple successful applications of its pond seal products that benefit from the company's patented system for delivery of sodium bentonite in and through the water. 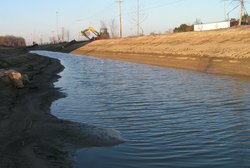 PONDSEAL was introduced in the fall of 2007 with the specific intent of addressing unwanted seeps and leaks in inland waterways. AquaBlok® PONDSEAL products are superior to bentonite alone due to the reliable, targeted placement and self-compacting nature of their coated stone core design. 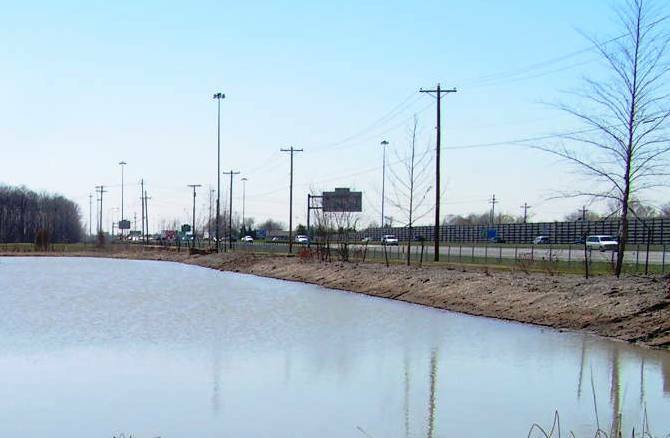 In its most basic application, PONDSEAL can readily descend through the water, hydrate, swell, and coalesce to form a flexible but cohesive layer or liner on the bottom of a pond, reservoir, canal, levee, or dam to block off potential leakage pathways. "What's perhaps most exciting about PONDSEAL is its versatility in addressing difficult problems the field," says AquaBlok Sales Manager, Eric Kraus. "As we have introduced the product and its attributes to more professionals in the lake and pond management and construction industries, we are finding an increasing number of applications where our particle composition has time- and cost-saving advantages over conventional practices and remedies." Problem Statement: Many waterways - including ponds, canals, levees, lakes and reservoirs - suffer from a range of conditions that cause ongoing leaks. Examples include: porous or permeable soils; compromised soil liners; faulty control structures (e.g. pipes, spillways, dams, etc. ); the presence of remnant field drainage tiles; animal damage; and a variety of other natural or construction-related issues. Once a leak is identified, few options exist to create an effective seal without first draining the water from the basin. Particularly in more mature waterways, this is often undesirable due both to cost and to the significant disruptive impact such a disturbance has on life in the system. Additionally, in holding/settling ponds or other similar settings, a disruption of operations can also occur if the basin needs to be drained for repair. Advantages of PONDSEAL: Although pure bentonite powder and granules ( or "chips") are often promoted as a remedy (by simply pouring raw material through the water), most practitioners in the field understand that this method is generally ineffective since only a fraction of the material applied actually makes it to the target area. Additionally, even when raw bentonite does make its way to the desired location, it is not adequately compacted to produce a reliable and effective seepage barrier. By contrast, the dense aggregate (stone) core of each PONDSEAL particle provides the mass to effectively deliver the bentonite though the water to the bottom, where all of the sealant material can be effectively utilized. PONDSEAL will not drift or dissipate, and unlike clays in their raw form, the composite particle is easy to handle and apply (no tilling, blending, or compacting equipment needed). The aggregate within the material provides "self-compaction" (resistance for the hydrating and expanding bentonite), creating a more stable layer that will remain in place over time. Available Products and Pricing: PONDSEAL is currently available both in 50-lb. paper bags and in ~2,500-lb. capacity FIBC bulk bags (for larger applications). Pricing is comparable to equivalent bentonite alternatives. Specific pricing is available upon request and is dependent on quantity purchased. Contact AquaBlok for more information more information.